The Lacaune breed, which is native to the Massif Central, was selected to specialize as a dairy breed in the early 20th century, and has now become the most widely-used and highest-yielding dairying breed in France. One of the factors driving this development was that its milk can be used to produce the renowned Roquefort cheese, which first gained official recognition for its quality and authentic roots back in 1925 with the very first French Appellation d’Origine Contrôlée (AOC; controlled designation of origin). The Red-face Manech, Black-face Manech and Basco-Béarnais from the western Pyrenees are generally raised and bred in foothills and upland mountain areas. All three are low-maintenance, easy-milking breeds well adapted to strong temperature variations. The Corsican dairying ewe, whose population remains primarily limited to its native island, stands out as a particularly hardy breed that is able to draw on its energy reserves when food becomes scarce. It can easily be bred in total free-range systems in arid and transhumance path areas. In France, goat breeding has been revolutionized over the last fifty years as the entire sector has been redeveloped, restructured and modernized, transforming what was once just part of self-sufficiency farming into a profitable and competitive industry. Intensive national-scale genetic improvement has enabled a constant increase in production volumes despite the substantial drop in nation-wide herd numbers. French goat farming, carried by an exclusively dairy-focused specialization along with rigorous and efficient selection programmes, has carved out its own unique position in the worldwide marketplace. 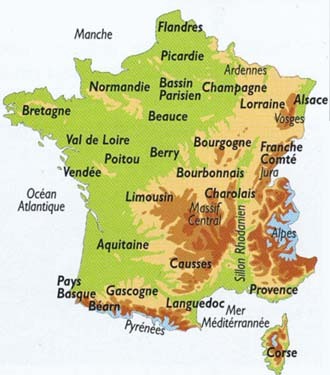 Almost two thirds of the French herd is clustered in the centre-west (the Centre and Poitou-Charentes regions) and south-east (the Rhône-Alpes region) of the country. French goat herds are primarily composed of the Alpine breed (from the Alps) and the Saanen breed (named after its native Saanen valley in Switzerland), and they post outstandingly high milk-yield figures. However, livestock keepers continue to farm other more minor breeds. The Corsican goat breed has remained strong in its native island, as it is ideally adapted to farming conditions in its native maquis environment (tough, dense, thorny scrubland) and its milk is used to produce high-value AOC Brocciu cheese. The Poitou, Rove and des Fossés breeds had been practically wiped out during the second half of the 20th century in the wake of epizootic disease, rural exodus, and competition from more productive breeds. However, their numbers have stabilized or even increased over the last decade thanks to specially-adapted conservation programmes.